A Labour victory in the coming elections on June 8 will encourage the Corbyn’s leadership to seek progressive answers outside capitalism. Such a victory is possible because the British masses want change and capitalism cannot offer any. Should Labour not win these elections, however, not everything is lost. The Posadists in Britain call for a Labour vote. 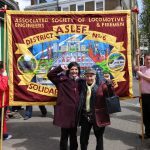 They support those in Momentum and in the Labour Party, as well as in the Communists, the general left, the working class and the Trade Unions who campaign and struggle for a Labour victory. The debacle of empire demands from the Labour Party that, in Britain, it should turn the imperialist and war-based economy into an economy based on human need. The forces for this transformation are on the Labour left and in the Trade Unions, but these are kept behind official prohibitions. Contrary to appearances, it is the Labour Party that suffers. Without the vigour and ideas of its left base, the pro-imperialist Labour structures keep the Party dominated by the war plans of US and UK imperialism; making it impossible for Labour to envisage any other type of British economy but the present one, geared to war for markets and raw materials. Repressing the left impairs the Party’s ability to judge Tony Blair. It goes on idealising Blair, and his apparent magical ability to win elections. It goes on conniving silently with the US bankrupt and imbecilic world policy of ‘regime change’. It goes on feeling undermined, angered and disillusioned by every success and advance made in the ex-colonial countries. In truth, this is what weakens the Labour Party – and not Jeremy Corbyn’s supposed lack of imposing capabilities. The Corbyn leadership excepted, Labour’s continued submission to the war plans of imperialism keeps digging a gulf between the Party’s pro-imperialist structures and the Labour & Trade Union base. The result is a better organisation of the left. It has already led to the formation of new organisations at the base of Labour, like the LRC, followed more recently by Momentum and several other Labour left currents. The force of rebellion in the country, and in the world, obliges the Labour apparatus to rely on those Left organisations for ideas, and to attract members. This will continue to develop, until the Labour and working class base actually manage to be represented in the Party’s leadership. This will transform the Labour Party as it stands. 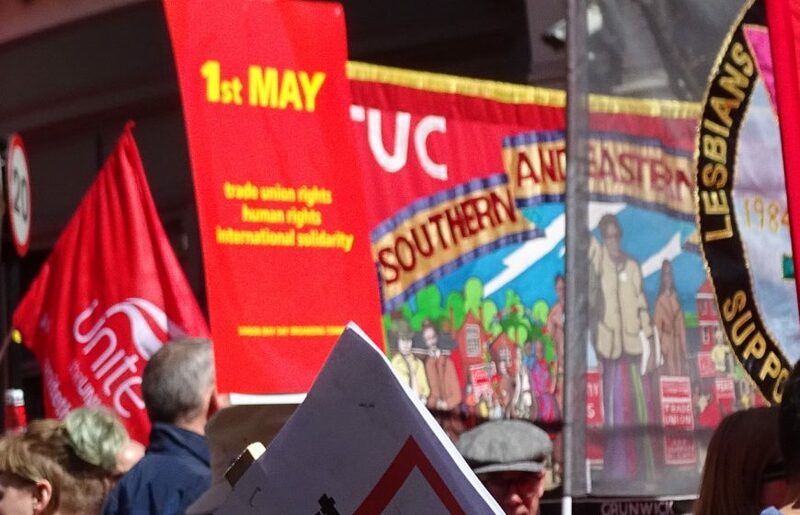 What draws the left of Labour closer to the working class is the Trade Unions, their increasing links with the communities and the dogged struggle of the working class. 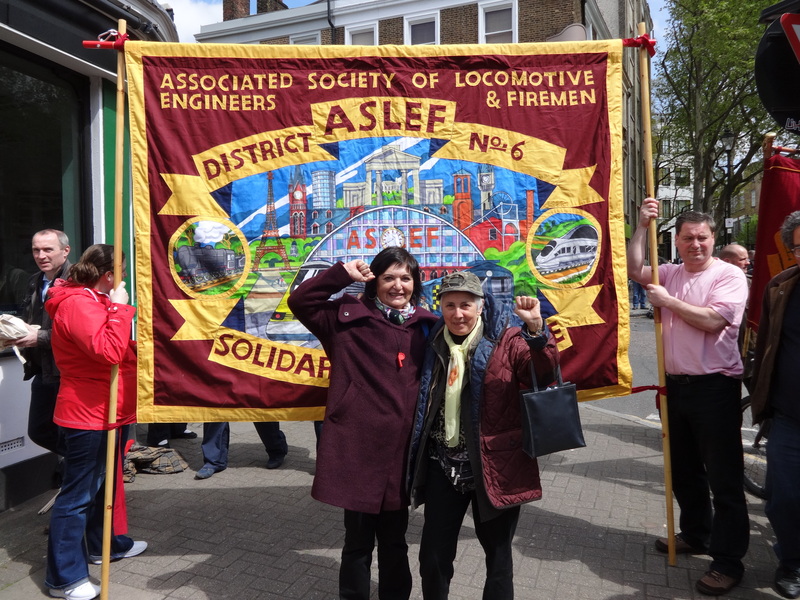 The demand by RMT to keep the workers in their jobs is no longer just a worker’s demand. It is the demand of humanity to keep access to the right to life. The sheer human need to survive against the malicious violence of capitalism and its nuclear war preparations demands from Labour that it presides over socialist transformations. Capitalism throws every possible obstacle in the way, but what to expect? One of these obstacles, the suppression of political debate in the Labour Party, should not be terribly difficult to overcome. It only requires the determination to speak up! J Corbyn’s 10-points anti-austerity programme is not a revolutionary alternative to capitalism, but it encourages the Labour and working class masses to coalesce. It encourages the anti-poverty and left forces of the country to regroup behind the need to have Labour serve the cause of social defence and transformation. A Labour victory in the June elections will only strengthen the Party’s left to the extent that it does not reinforce the Party’s pro-imperialist MPs and structure. How this pans out depends on world forces and the approach of war. 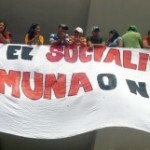 The general strike in Brazil and the victory of Lenin Moreno in Ecuador are factors in this. Other factors lie in the determination of the Labour left to function, call meetings, discuss and publish. Nearly 100 Labour MPs – some shadow cabinet ministers like Angela Rayner and Barry Gardiner – along with 9 Labour Friends of Israel (and others) wrote a document demanding Ken Livingstone’s expulsion from the Labour Party. The bourgeois press published it in the hope that the Labour right will intimidate and suppress the Labour left. Beyond the forces of the right in the Party, it is capitalism that exerts pressure to stop the formation of a consistent anti-imperialist Labour left. The Labour forces allied to imperialism are hostile to Corbyn because they cannot visualise the Workers State. They support Israel’s land-grab policy and the US-EU recolonization of Iraq. They want British imperialism armed with Trident and nuclear weapons. Reluctant to accept that the remnants of empire now cost more than they yield, they reject the socialist transformation of the economy now demanded by human need. But this view is losing ground, and the Labour left keeps growing. Corbyn’s programme encourages the idea of the socialist transformation of the economy. It is not excluded that those who find Corbyn’s programme too left-wing and idealistic today, may one day support it (moderate as it is!) against the possibility of the working class taking power for itself, and without any need for intermediaries. 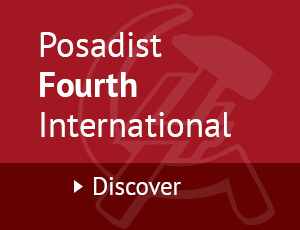 The posadiststoday.com call on J Corbyn – and on the forces supporting his leadership – workers, Communists, Socialists, Momentums, Labour left and Trade Union bases – to intervene politically and organisationally in the Labour Party, from without and from within, to assist its anti-imperialist transformation. By silencing the Party’s left with anti-semitism accusations, by anti-Trade Union laws that the Party did not repeal, etc.